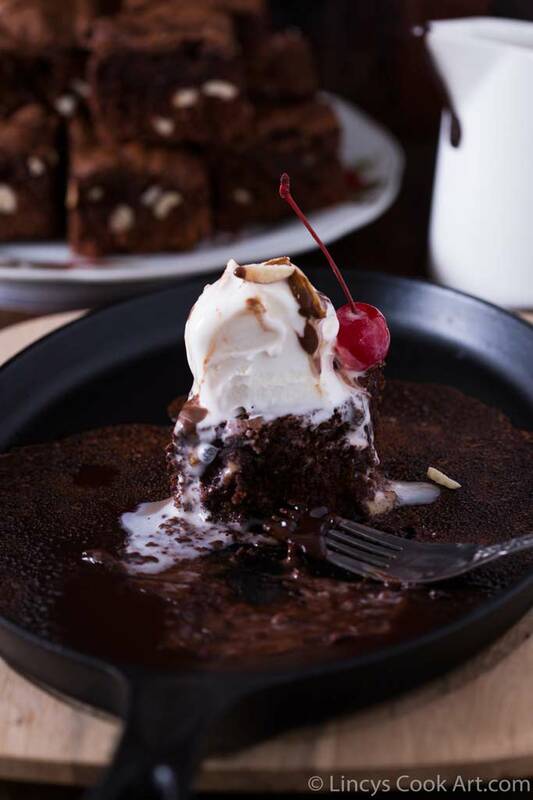 Hot Chocolate Sizzling brownies| Sizzling Chocolate Brownies with ice cream| Sizzling Brownie is a super tasty rich chocolaty dessert. 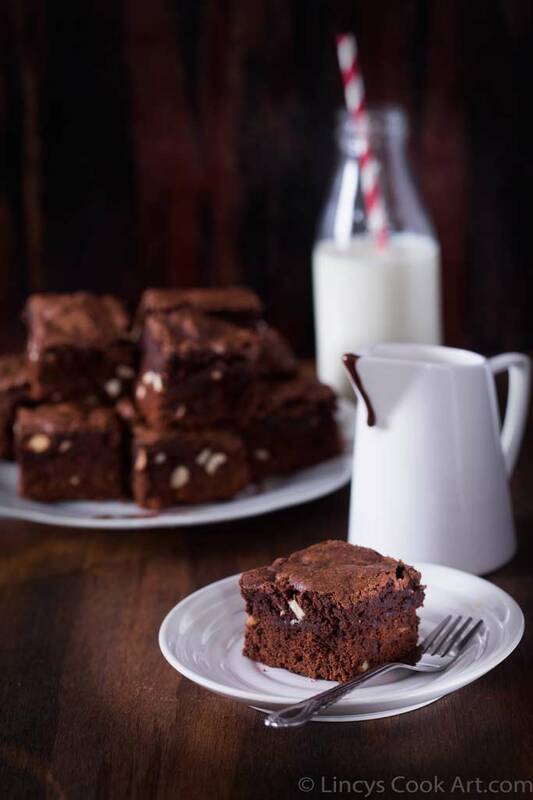 My husband likes Chocolate recipes a lot, the hot and cool combination especially with lots of chocolate and nuts gives perfect texture to the dessert. Actually i have prepared this dessert for Christmas and kept to post it on Valentines day. Only the procedure is lengthy but it is easy to make than an iced cake which requires skill. 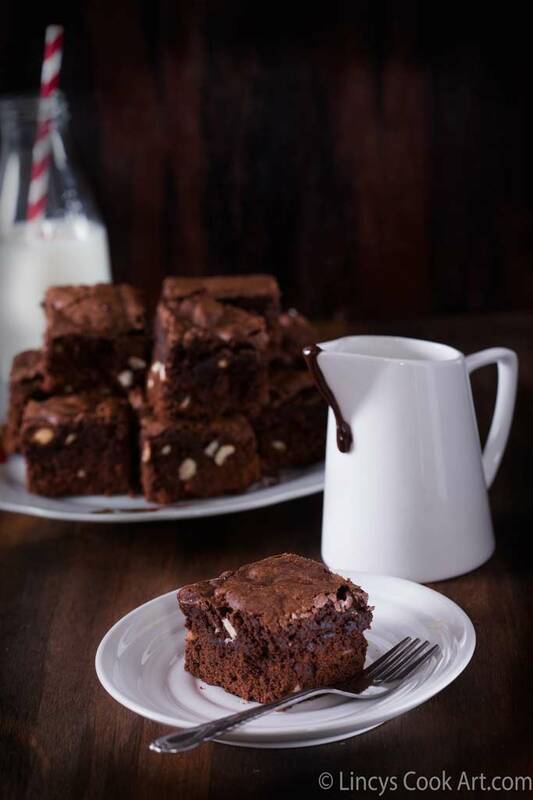 Perfect for the parties as the brownies and the sauce could be prepared earlier and and heated up before serving. 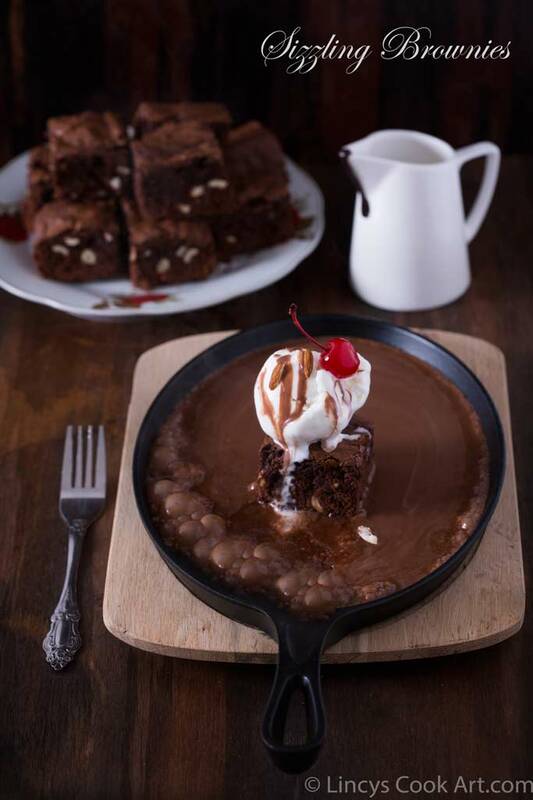 Sizzler pan is optional, those who do not possess a sizzler pan could microwave the brownie to heat it up and keep the ice cream on top and pour the hot chocolate sauce over it. Sieve together all purpose flour, cocoa powder and salt(baking powder if you use APF) to uniformly mix well. Add the chopped nuts and mix well and set aside. Cut the butter and dark chocolate in to pieces. In a double boiler or microwave melt them together till it melts and form a chocolate sauce form; allow to cool slightly. In a separate bowl beat the eggs till frothy and then add the powdered sugar and beat well till combined and again the mixture becomes pale and slightly frothy. Now add the vanilla extract, cooled chocolate butter mixture and mix well in low speed. Now add the dry ingredients 1/2 cup at a time and mix well till combined. I have added 1/4 cup of boiling hot water to loosen the batter. 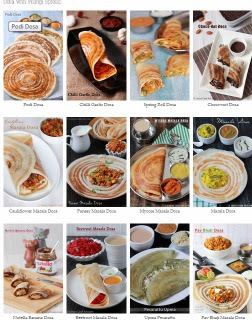 If your batter is at thick but pouring consistency no need to add water. If you want to make it more rich you could add some chocolate chips too on to the batter. Preheat the oven to 180 degrees for 10 minute and then bake the brownies for 30-40 minutes till a skewer inserted comes out clean. 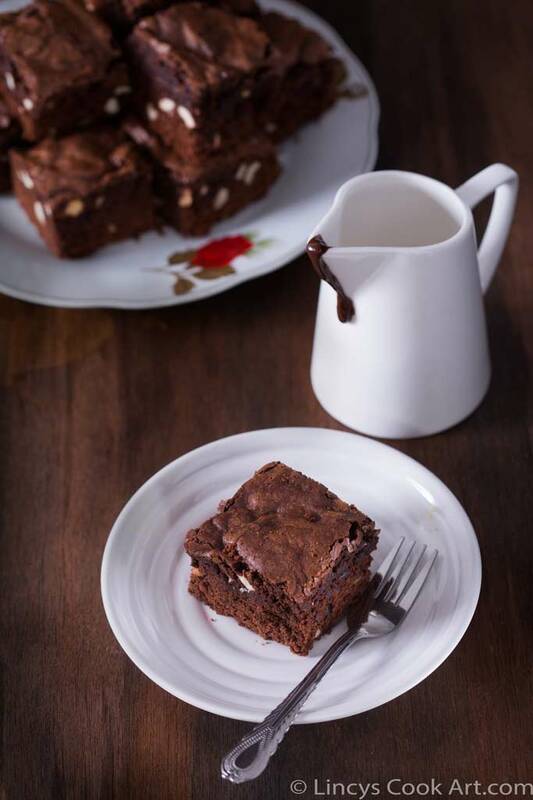 It forms a papery thin layer on top of the brownies which breaks when you cut the brownies. 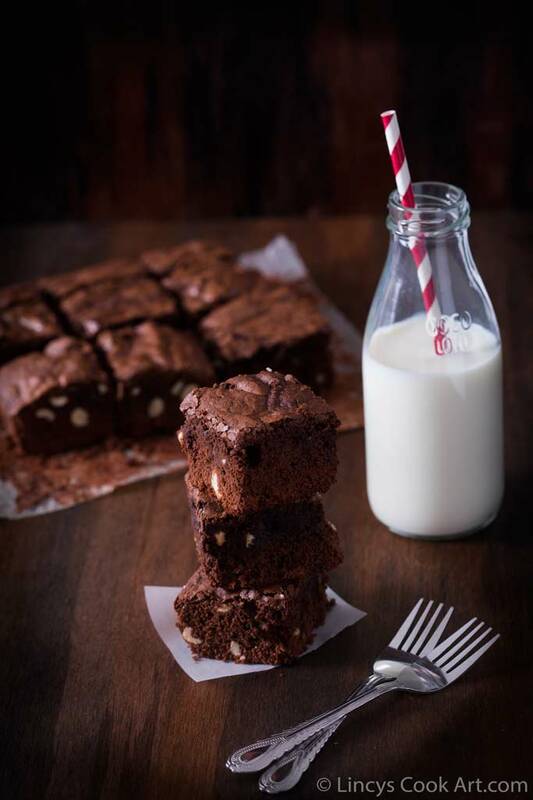 Allow to cool and cut the brownies. In a pan add the chocolate and cream and allow to cook in low flame to melt the chocolate and bring it to boil. Once the mixture starts to boil switch off the flame and set aside. (warm it up whenever required) You could microwave them too. Heat a sizzler pan for 10 -15 minutes and carefully transfer on to the wooden base. Keep a piece of brownie and keep a scoop of vanilla or chocolate ice cream. Serve to the guest and pour the chocolate sauce over the ice cream. Now sprinkle with nuts or cherries if you like. Note: Add 1/2 a cup more chopped chocolate or chococlate chips on to the batter for more rich ness. Adding hot water is optional if the batter seems dry add hot water to loosen it. If the chocolate sauce seems so thick while reheating add some milk and boil again. It is not necessary the chocolate sauce should be hot. But It should be in liquid form to pour on top. OMG ..this is torture dear....I'm just drooling looking at the pics...Super Awesome.